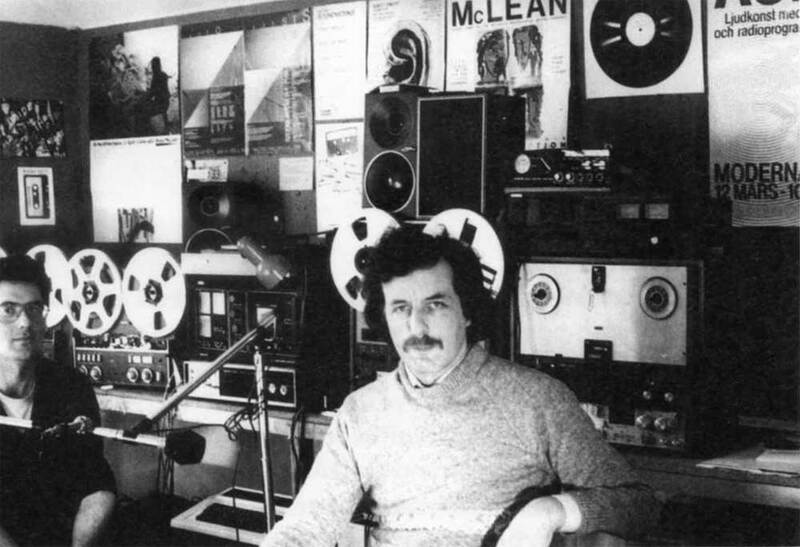 In addition to the Audio Arts regular cassette series, William Furlong published several records, starting with 1984’s Orchard Gallery LP and The Difference/Head Low 7” single, 1987. 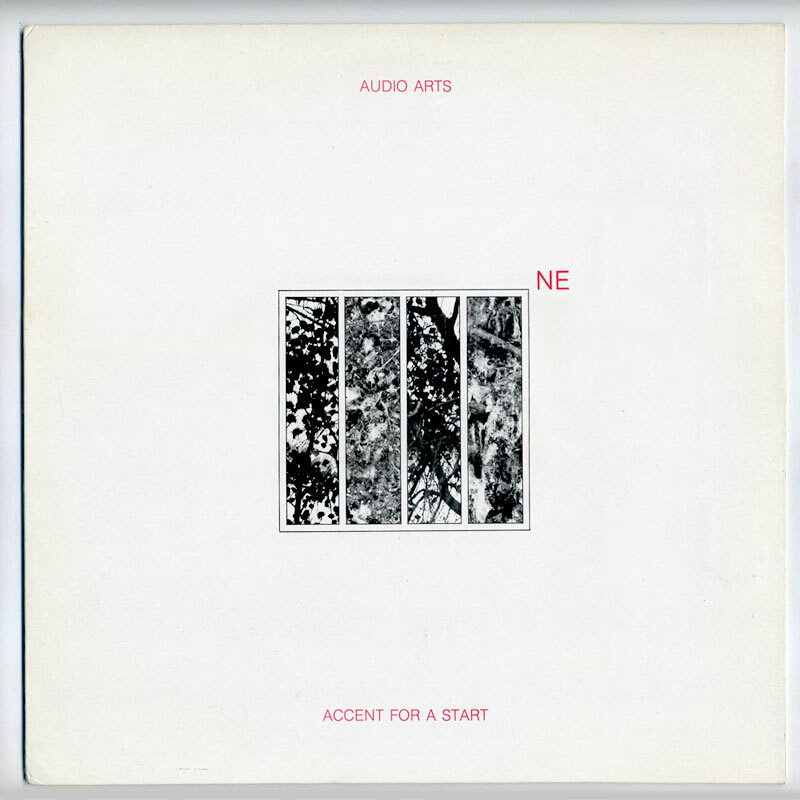 The ‘Accent for a Start’ 1987 LP is a little different from other Audio Arts cassettes of mostly contemporary artists’ interviews and performances, like the selection I posted earlier. Here, Furlong and Michael Archer use street interviews with Newcastle upon Tyne passersby to create short Dada-ist sound collages from chopped up voices, drum machine and various loops (from library records, I assume), not unlike some Nurse With Wound’s sound collages. ‘Accent for a Start’ is rather ironical, contemptuous even, but is just hilarious if you happen not to live in Newcastle, on the great divide between North and South Britain, where the accent is strong. The ‘NE’ tag on the cover indeed refers to the far away North East. Prejudices of a Londonite, maybe, but great fun. The track Song for Edwina is also a peerless New Wave anthem. William Furlong’s Audio Arts project was featured in the Linz Lentos Kunstmuseum exhibition See This Sound (Promises in Sound and Vision), August 28, 2009 to January 10, 2010, Austria. I updated my Wikipedia article with the information from Heidi Grundmann’s essay featured in the catalogue. Visit the official website for See This Sound here. Hello Continuo! How does one get in touch with you other than this comment form? I am one in a group of students at the Maryland Institute College of Art (mica.edu – it is a horrible website), who are starting a radio station. After many years of students attempting to begin broadcasting we have finally succeeded. I recently began reading your blog, specifically your posts on Radio-art, which are directly the inspiration I need right now in light of our own project that will soon be taking off. Here is my offer – I am planning on making time on our radio for interesting guests, artists, or otherwise, to host a show or in some way participate with us as we begin to find our footing. I envision this as an invitation to curate a show using our space, the radio. I extend this offer to you, if you wish. I would be enthusiastic if you would accept as your wealth of information and knowledge about radio-art has been astounding. Please contact me using my email, graham.wimbrow@gmail.com, I look forward to hearing from you! Do not stop posting this blog! hi again, I was wondering if you wouldn’t mind removing the above comments. I am making an attempt to clean up my search results off google and I would appreciate it if this didn’t come up as one of the first hits. I’m sorry to learn my Google ranking is a hindrance to you. How come you’re still using your real name to post comments on illegal mp3 blogs, then?